Within the city of Uruk, there was a large temple complex dedicated to Innana, the patron goddess of the city. The City-State's agricultural production would be “given” to her and stored at her temple. Harvested crops would then be processed (grain ground into flour, barley fermented into beer) and given back to the citizens of Uruk in equal share at regular intervals. The head of the temple administration, the chief priest of Innana, also served as political leader, making Uruk the first known theocracy. We know many details about this theocratic administration because the Sumarians left numerous documents in cuneiform script. These tablets made of dried mud and many were sealed in clay envelopes and signed using cylinder seals. A cylinder seals is a small pierced object like a long bead that is carved in reverse (intaglio) with a unique image and sometimes the name of the owner. The seal was rolled over the soft clay of a tablet and functioned as a signature. The minute images on these seals use a system of symbolic representation that identifies the political status of the owner. It is almost impossible to imagine a time before writing. 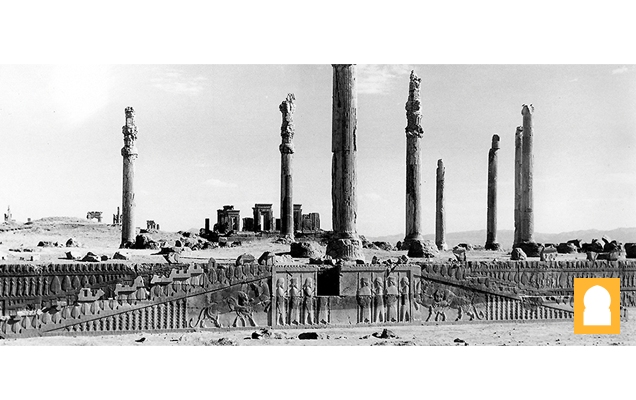 Our thanks should go to the cultures of the Ancient Near East. However, you might be disappointed to learn that writing was not invented to record stories, poetry, or prayers to a god. The first fully developed written script, cuneiform, was invented to account for something unglamorous, but very important—surplus commodities: bushels of barley, head of cattle, and jars of oil! The origin of written language (c. 3200 B.C.E.) was born out of economic necessity and was a tool of the theocratic (priestly) ruling elite who needed to keep track of the agricultural wealth of the city-states. The last known document written in the cuneiform script dates to the first century B.C.E. Only the hieroglyphic script of the Ancient Egyptians lasted longer. Cuneiform script tablet from the Kirkor Minassian collection in the Library of Congress. From Year 6 in the reign from Amar-Suena/Amar-Sin or 2041 and 2040 B.C.E. Cuneiform writing was typically done on clay tablets, and these ranged in size from little more to an inch to several inches long. Letters written on clay tablets would be placed in clay envelopes and “addressed” in cuneiform. 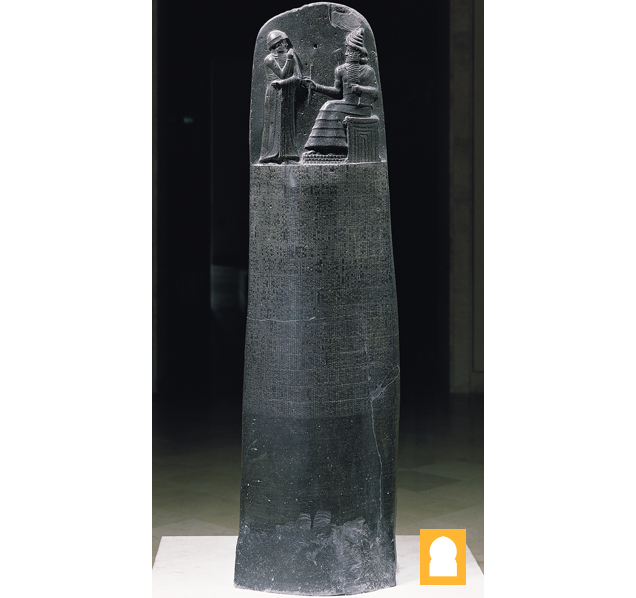 Cuneiform was also carved into important stone stele such as the Law Code Stele of Hammurabi (a stele is a vertical stone monument or marker), and dedications were inscribed in cuneiform on clay cones that were laid at the foundation of palaces and temples identifying to whom the structure was dedicated and who built it. Cuneiform was used for official accounting, governmental and theological pronouncements and a wide range of correspondence. 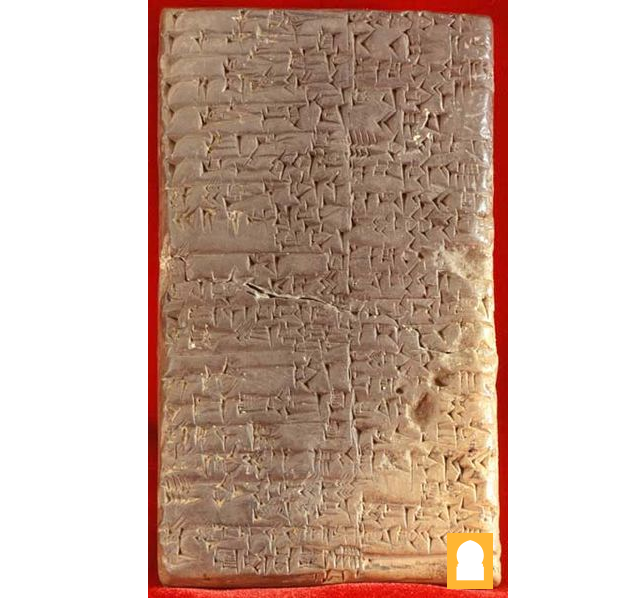 Nearly all of these documents required a formal “signature,” the impression of a cylinder seal. A cylinder seal is a small pierced object, like a long round bead, carved in reverse (intaglio) and hung on strings of fiber or leather. These often beautiful objects were ubiquitous in the Ancient Near East and remain a unique record of individuals from this era. Each seal was owned by one person and was used and held by them in particularly intimate ways, such as strung on a necklace or bracelet. When a signature was required, the seal was taken out and rolled on the pliable clay document, leaving behind the positive impression of the reverse images carved into it. However, some seals were valued not for the impression they made, but instead, for the magic they were thought to possess or for their beauty. 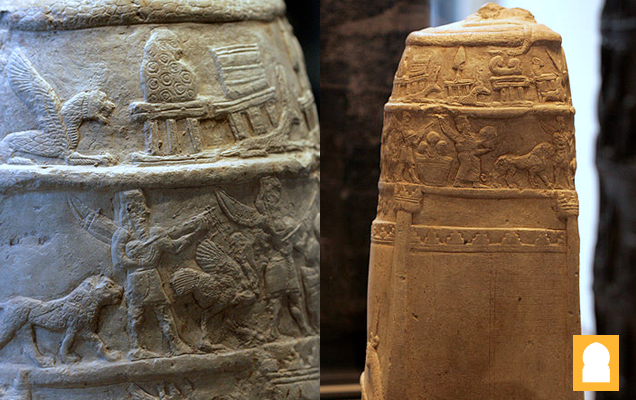 The first use of cylinder seals in the Ancient Near East dates to earlier than the invention of cuneiform, to the Late Neolithic period (7600–6000 B.C.E.) in Syria. However, what is most remarkable about cylinder seals is their scale and the beauty of the semi-precious stones from which they were carved. The images and inscriptions on these stones can be measured in millimeters and feature incredible detail. The stones from which the cylinder seals were carved include agate, chalcedony, lapis lazuli, steatite, limestone, marble, quartz, serpentine, hematite and jasper; for the most distinguished there were seals of gold and silver. To study Ancient Near Eastern cylinder seals is to enter a uniquely beautiful, personal and detailed miniature universe of the remote past, but one which was directly connected to a vast array of individual actions, both mundane and momentous. 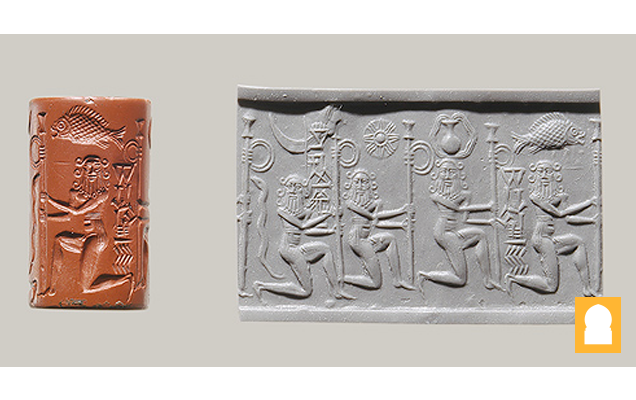 Art historians are particularly interested in cylinder seals for at least two reasons. First, it is believed that the images carved on seals accurately reflect the pervading artistic styles of the day and the particular region of their use. In other words, each seal is a small time capsule of what sorts of motifs and styles were popular during the lifetime of the owner. These seals, which survive in great numbers, offer important information to understand the developing artistic styles of the Ancient Near East. The second reason why art historians are interested in cylinder seals is because of the iconography (the study of the content of a work of art). Each character, gesture and decorative element can be “read” and reflected back on the owner of the seal, revealing his or her social rank and even sometimes the name of the owner. Although the same iconography found on seals can be found on carved stelae, terra cotta plaques, wall reliefs and paintings, its most complete compendium exists on the thousands of seals which have survived from antiquity. Archaeologists believe that the years 2800-2350 B.C.E. 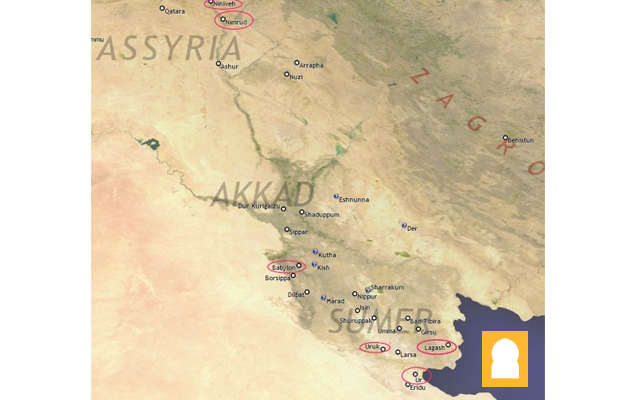 in Mesopotamian saw both increased population and a drier climate. This would have increased competition between city-states which would have vied for arable land. As conflicts increased, the military leadership of temple administrators became more important. Art of this period emphasizes a new combination of piety and raw power in the representation of its leaders. In fact, the representation of human figures becomes more common and more detailed in this era. 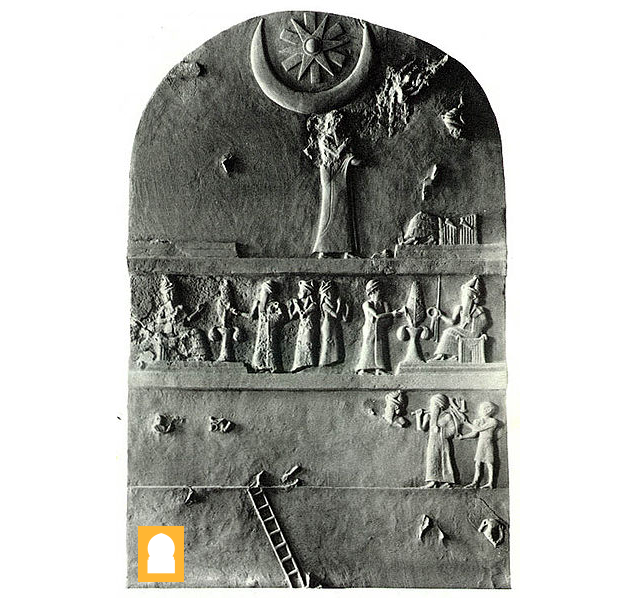 This votive plaque, which would have been hung on the wall of a shrine through its central hole, illustrates the chief priest and king of Lagash, Ur-Nanshe, helping to build and then commemorate the opening of a temple of Ningirsu, the patron god of his city. The plaque was excavated at the Girsu. There is some evidence that Girsu was then the capital of the city-state of Lagash. 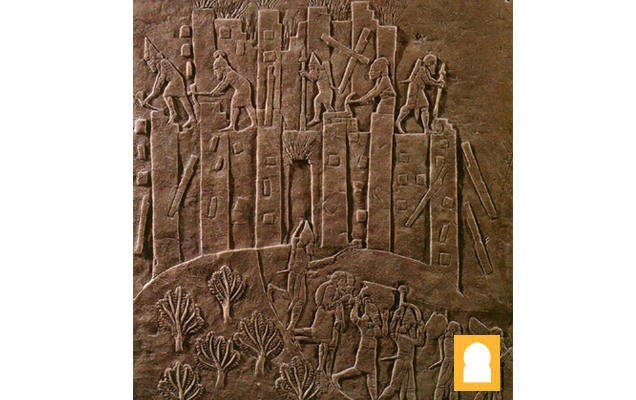 The top portion of the plaque depicts Ur-Nanshe helping to bring mud bricks to the building site accompanied by his wife and sons. The bottom shows Ur-Nanshe seated at a banquet, enjoying a drink, again accompanied by his sons. In both, he wears the traditional tufted woolen skirt called the kaunakes and shows off his broad muscular chest and arms. Competition between Akkad in the north and Ur in the south created two centralized regional powers at the end of the third millennium. This centralization was military in nature and the art of this period generally became more martial. The Akkadian Empire was begun by Sargon, a man from a lowly family who rose to power and founded the royal city of Akkad (Akkad has not yet been located, though one theory puts it under modern Baghdad). 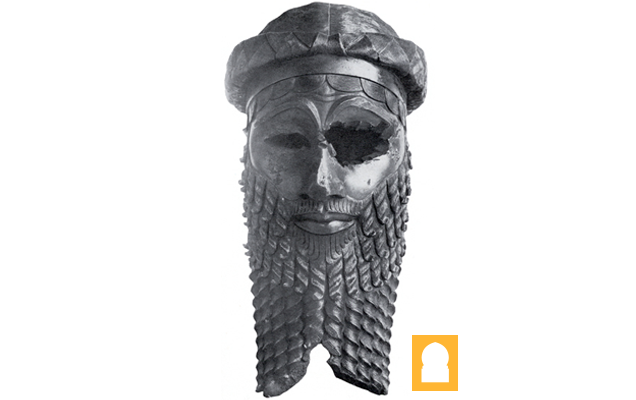 This image of an unidentified Akkadian ruler (some say it is Sargon, but no one knows) is one of the most beautiful and terrifying images in all of Ancient Near Eastern art. The life sized bronze head shows in sharp geometric clarity, locks of hair, curled lips and a wrinkled brow. Perhaps more awesome than the powerful and somber face of this ruler is the violent attack that was mutilated it in antiquity. 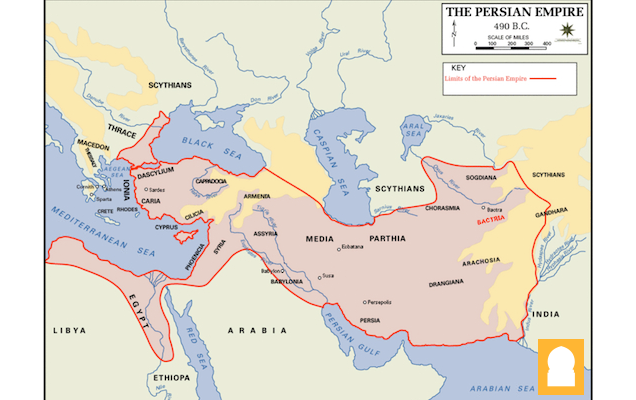 The kingdom of Akkad ends with internal strife and invasion by the the Gutians from the Zagros mountains to the northeast. The Gutians were ousted in turn and the city of Ur, south of Uruk, became dominant. King Ur-Nammu established the third dynasty of Ur, also referred to as the Ur III period. Perhaps because of the changing fortunes of the area, monuments erected by rulers begin to include multiple registers and tell long and complicated stories, almost like three-dimensional comic books. 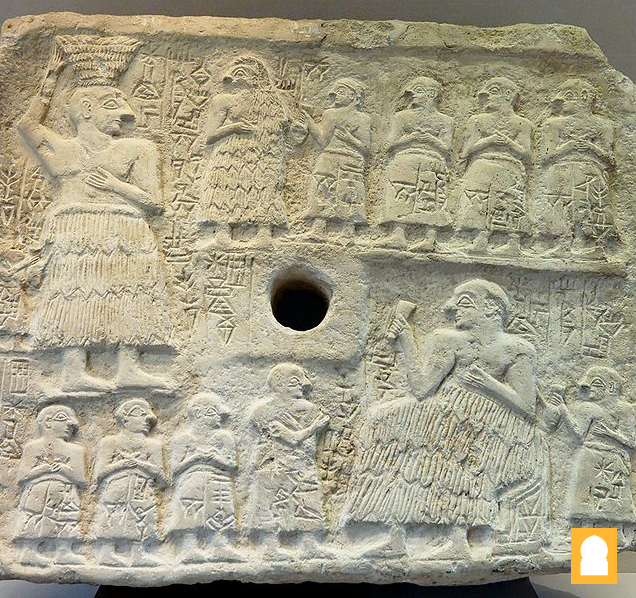 This limestone stele, found in a very fragmentary state at Ur, has five narrative layers (registers) on both sides. They likely depict King Ur Nammu building and consecrating the major temple complex at Ur dedicated to Nanna, the moon god and divine patron of the city. The king is shown multiple times carrying mud bricks. He is accompanied by an architect and is also shown praying to Nanna who is represented as a huge crescent moon at the top of the stele. The late third millennium is the era in which massive temple structures, so typical of ancient Near Eastern architecture, were first created. The name of the current ruler was often stamped on each brick of these huge raised platform temples known as ziggurats. The Ziggurat at Ur is a largely reconstructed example from a later period. 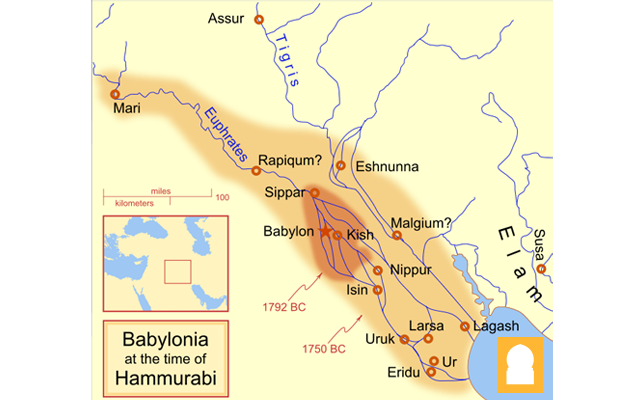 The Babylonians rose to power in the late 7th century and were heirs of the urban traditions which had long existed in southern Mesopotamia. 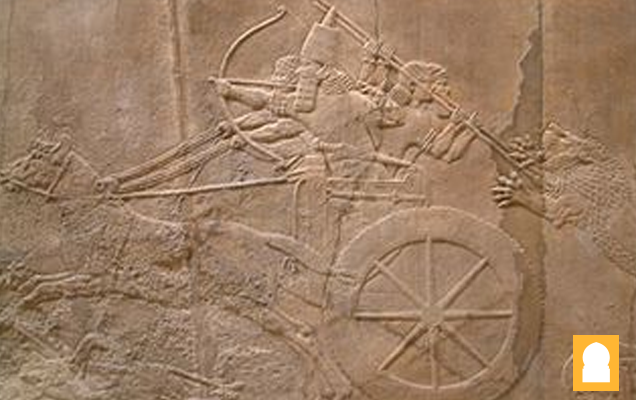 They eventually ruled an empire as dominant in the Near East as that held by the Assyrians before them. 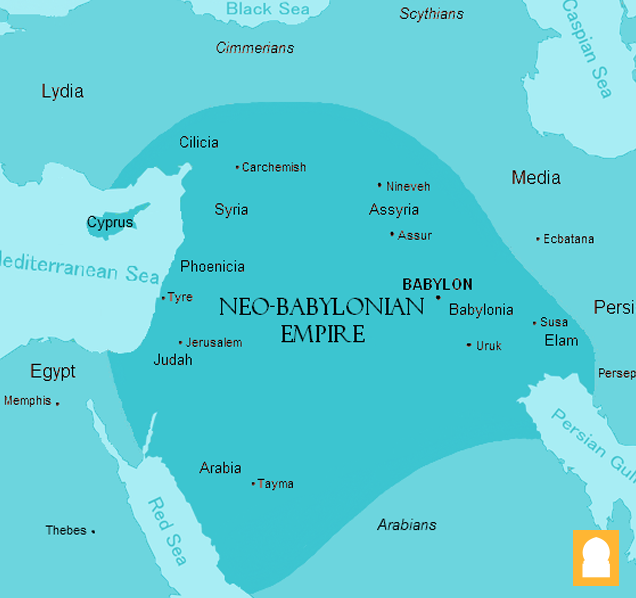 This period is called Neo-Babylonian (or new Babylonia) because Babylon had also risen to power earlier and became an independent city-state, most famously during the reign of King Hammurabi (1792-1750 B.C.E.). In the art of the Neo-Babylonian Empire we see an effort to invoke the styles and iconography of the 3rd millennium rulers of Babylonia. In fact, one Neo-Babylonian king, Nabonidus, found a statue of Sargon of Akkad, set it in a temple and provided it with regular offerings.